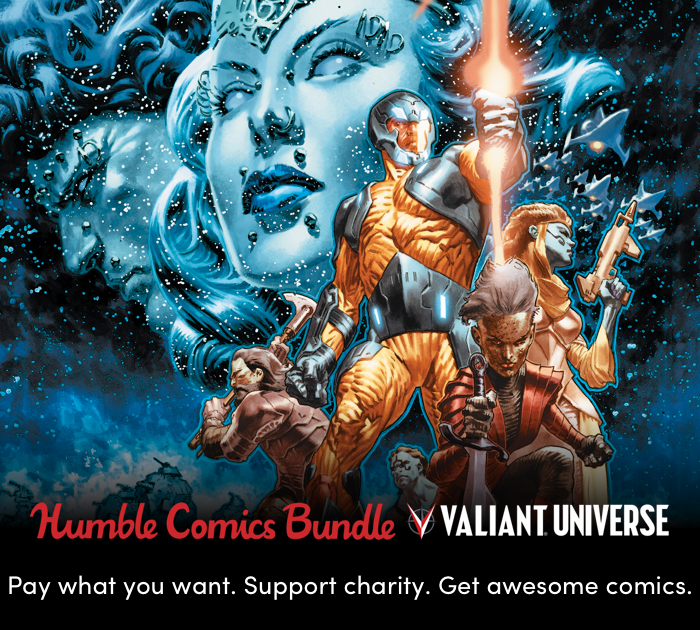 Get over 150 issues of Valiant comics while helping to support The Keep A Breast Foundation! 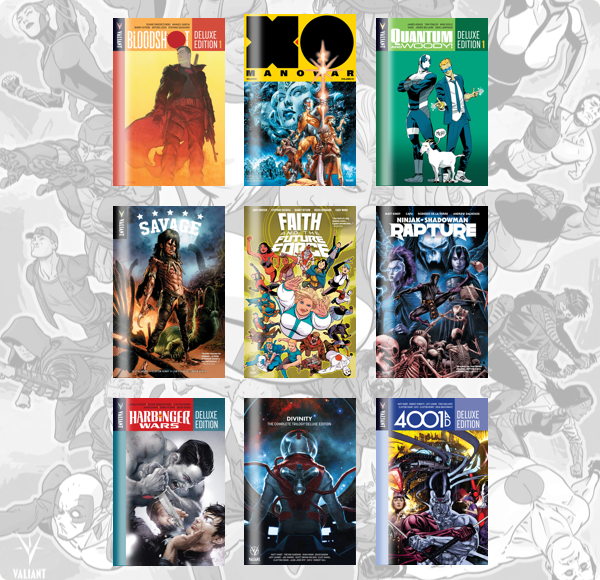 August 8, 2018 (Los Angeles, CA) – Valiant Entertainment and Humble Bundle are proud to announce the launch of a new pay-what-you-want digital collection featuring over 20 titles from the publisher’s critically acclaimed line of comics, available starting today on humblebundle.com! A portion of the proceeds will go to support The Keep A Breast Foundation, whose mission is to create awareness for breast health and education with young people all over the world. The fundraising campaign will run for two weeks, ending at 11:00 a.m. Pacific on August 22nd, so head to humblebundle.com now for some great comics! Valiant Entertainment, a subsidiary of DMG Entertainment, is a leading character-based entertainment company that owns and controls the third largest library of superheroes behind Marvel and DC. With more than 80 million issues sold and a library of over 2,000 characters, including X-O Manowar, Bloodshot, Harbinger, Shadowman, Archer & Armstrong, and many more, Valiant is one of the most successful publishers in the history of the comic book medium. Valiant consistently produces some of the most critically acclaimed comics in the industry and has received numerous industry awards and accolades, including a Diamond Gem Award for Comic Book Publisher of the Year. For more information, visit Valiant on Facebook, Twitter, Tumblr, Instagram, and ValiantEntertainment.com. For Valiant merchandise and more, visit ValiantStore.com. Humble Bundle sells games, ebooks, software, and other digital content through pay-what-you-want bundle promotions, the Humble Store, and the Humble Monthly curated subscription service. When buying a bundle, customers not only choose how much to pay, but also how their payment is divided between the content creators, charity, and Humble Bundle. Purchases from the Humble Store and subscriptions to Humble Monthly also help support charity. In 2017, Humble Bundle announced the launch of a multi-platform funding and creative initiative to publish games “Presented by Humble Bundle.” Since the company’s launch in 2010, Humble Bundle and its community have raised more than $129 million for a wide range of charities across the world. To see more, visit https://www.humblebundle.com. The Keep A Breast Foundation™ is a nonprofit organization with a mission to empower young people around the world with breast health education and support. Since its inception in 2000, KAB has worked with young people to remove the shame associated with breasts and breast health. Through various initiatives and programs such as breast cast art exhibitions, “Non Toxic Revolution”, “Check Yourself! App” and “i love boobies!” campaign, KAB has opened up the dialog about breast cancer, and has proven to be a doorway to breast self-awareness and education. Keep A Breast has grown into the leading global youth-based breast cancer prevention organization, with global affiliates in Japan, Europe, and Mexico. Constantly pushing the boundaries of the pink ribbon status quo, Keep A Breast has always encouraged young people to love their boobies, get to know their bodies, and be aware of changes.